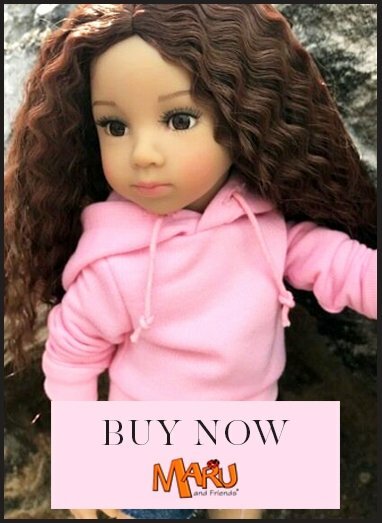 This item will fit brands of doll including Gotz Precious Day, Hannah, Happy Kidz, American Girl, Our Generation, WeGirls and Bonne & Pearl, plus similar sized dolls. Playful red dress with stunning white broderie detail on peter pan collar and working pockets. Dress is fully lined. Pink cotton leggings are finely knitted and have sweet bow details on the knees. Comes with a faux patent wrist bag with working zip. All made from high quality fabrics. Superb for play and mix and match. Shoes and Kitty doll are sold separately. See our polka dot hairband for 99p to match!